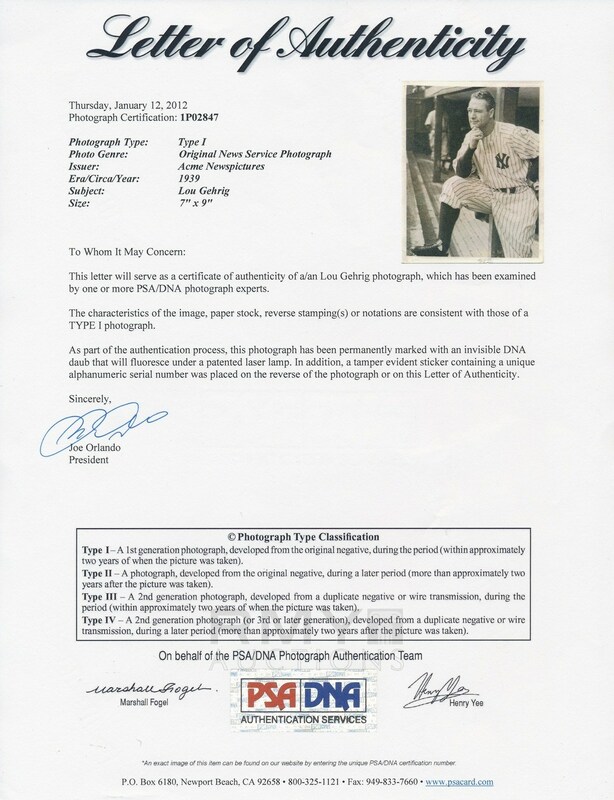 In one of the most tragically ironic moments in sports history, Lou Gehrig announced to the world on June 21, 1939 that the man known as the "Iron Horse" and a symbol of strength and power during the Depression was suffering from a disease that sapped that very power from his body and he would play no more. He continued to show up for a time in uniform and participate (ceremonially) in team events, but would play no more. The offered poignant photograph shows Gehrig in uniform and leaning up on the dugout steps, dreaming of being able to play again and hoping that by some miracle the disease he had could be cured. 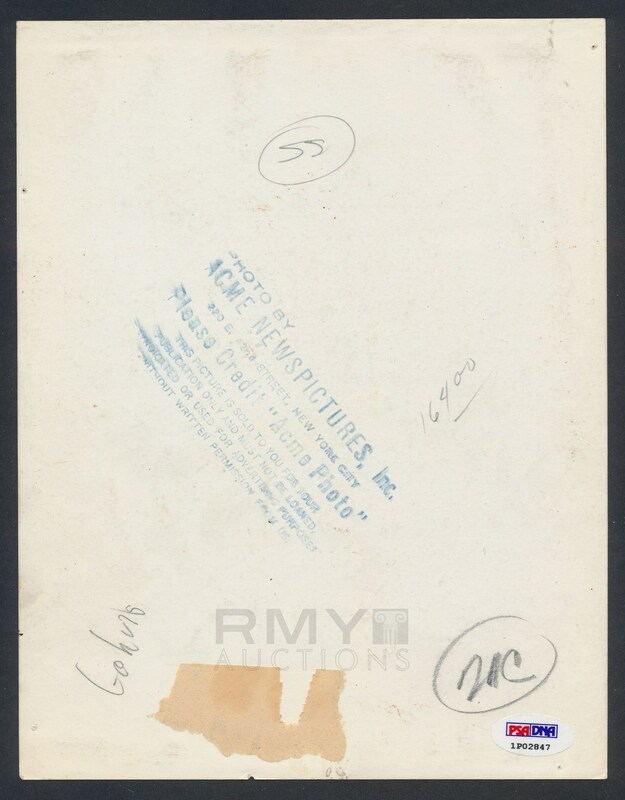 Issued by Acme and stamped on the back, this is a stunning specimen off the original negative that has been authenticated also by PSA as a "Type 1" and comes with a full letter. A handful of small pinholes on the borders and a tiny border chip are the only flaws on this stunning specimen. 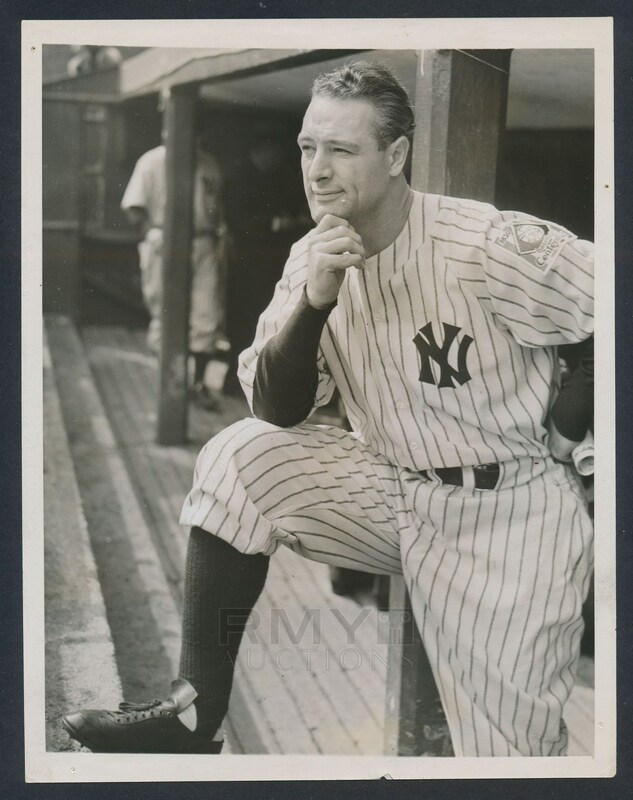 One of the greatest 1939 images of Gehrig we have ever offered.